The map is based on a series of popular maps - "Dropper" in which you will need to survive a fall from a great height! In total map contains six different droppers. Map task is very simple but also complex. Drop down and try not to break! Map is installed, enjoyable game! Mega Dropper Easter map for MCPE 0.14.0Mega Dropper Easter is a continuation of a series of popular maps for Minecraft PE called Dropper, in which you have to jump from a great height and try not to break. 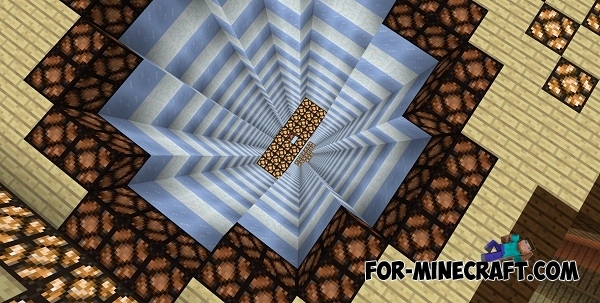 Raybe's Dropper map for Minecraft PE 0.12.1Raybe's Dropper map was inspired by the original MegaDropper, which is among the top most popular Minecraft and Minecraft PE maps.